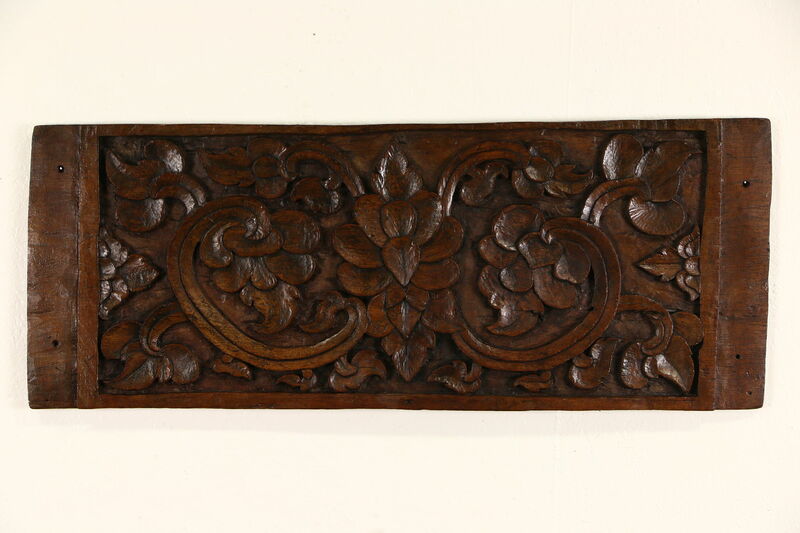 Thai Architectural Salvage Fragment, Antique Hand Carved Teak, 13" x 39"
Deeply hand carved from a single wide plank of teak in Thailand, this architectural salvage fragment shows masterful artistry and traditional motifs. Age and origin of this work of art is unknown. Waxed and buffed, the finish is in very fine condition. Overall size is 13" tall, 39" wide and 2" deep.